Radiant skin like the summer sun. Vitamin C super mask. 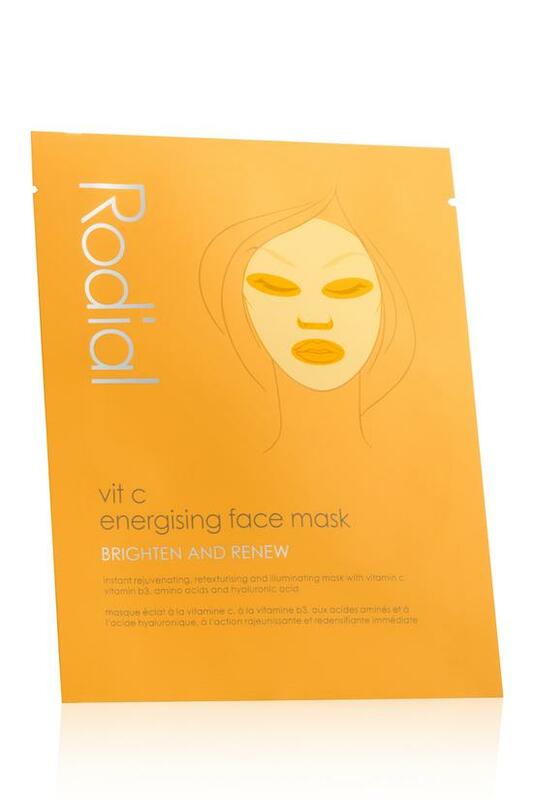 Supercharged, super-antioxidant vitamin C mask tackles your greatest age concerns taking skin from drab to fab in a flat-out nanosecond. Infuses nutrients and hydration to fade fine lines and wrinkles and retexture dull, lifeless skin for a sunny, illuminated complexion. Cleanse skin with Vit C Brightening Cleanser and follow with Vit C Brightening Cleansing Pads for a fresh, clean complexion. Remove from the plastic sheet and apply bio-cellulose mask over the face, directly onto cleansed skin and remove protective fabric sheet. Leave for 10-15 minutes and remove. Massage any excess serum into the skin for maximum benefits.